Making sense of Roman's record Chelsea move for Leonardo Bonucci. Leonardo Bonucci is Antonio Conte’s top priority in the next transfer window and Roman Abramovich is preparing to bankroll a massive world record bid of £60m to sign him. This is great news for all Chelsea fans after witnessing only what could be best described as atrocious defending against Liverpool and Arsenal of late. Although it seems that Chelsea are preparing a straightforward deal, it appears that Juventus are looking at Cesc Fabregas in addition to a fee in order to contemplate selling him. According to The Sun, Chelsea would rather offer Eden Hazard as an option instead. I personally find all of this staggering for many reasons. First and foremost, no one in the world is worth that amount of money if you think realistically. The prices in Football these days have ballooned to extortionate amounts and for a fee like that to be quoted for a Defender is unheard of. Secondly, we have to ask whether or not Cesc Fabregas would be interested in a move to La Liga? If you are to believe reports recently, he was offered the chance to join AC Milan and turned them down; choosing to stay and fight for his place in the Chelsea team. It’s clear that he is passionate about the Premier League having taken the opportunity to return after his time in Barcelona. Finally, why on earth would Chelsea consider selling their best player in Eden Hazard? It makes no sense whatsoever because someone who has the natural talent and ability he has should be able to fit inside the framework of any team playing any formation. Whether it’s 3-5-2, 3-4-3 or 4-3-3, surely there has to be room for the Premier League Player of the Year two seasons ago? The approach and intent of any club as they approach a transfer window albeit in the summer or in January should be to improve their squad and the options they have available. I totally understand 100% our intention to buy a world class Defender but to potentially lose two players of high class in other areas completely defeats the object of what you are trying to do. If Chelsea are to be successful again and challenge for the top four this season, with title the aim next season, the club must keep hold of their best players. 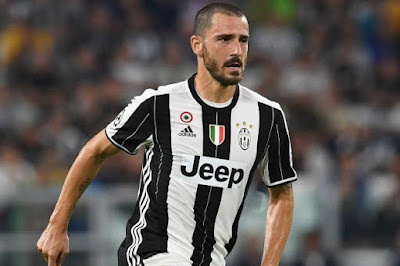 Therefore, I see no substance in any reports of Chelsea offering players to Juventus in exchange for Leonardo Bonucci. Could a £60m offer from Roman Abramovich tempt them into selling? We will have to wait and see.